Monitoring the patient is the cornerstone of safe anaesthesia. 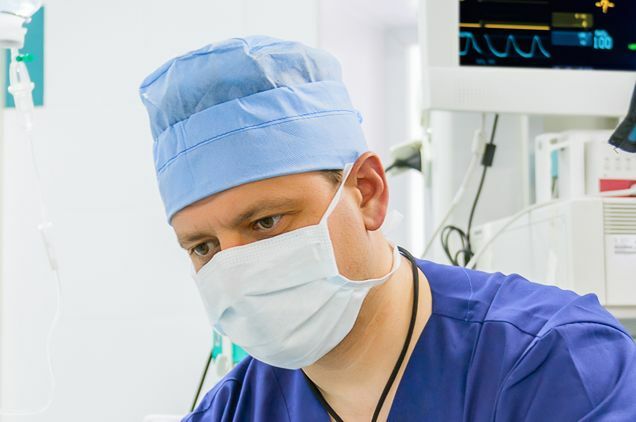 The ability to administer anaesthesia with minimal risk is largely due to the increased number and improved quality of physiological monitors that have been developed in the last 3 decades. In the early days of anaesthesia, monitoring consisted of observing a patients colour and having a finger on the pulse. Although this forced the anaesthetist to pay extremely close attention to the patient it is somewhat akin to flying an aircraft at night without an instruments. This section will provide a brief outline of the various forms of monitors used in modern day anaesthesia and their application in everyday practice. (1) Colour of the lips and fingers – a healthy pink colour is a reliable sign that the tissues are receiving an adequate supply of oxygen and blood. (2) Pulses – there are numerous positions on a persons body where a pulse can be felt and it supplies an indication of how well a persons heart is working. (4) Position and pressure points – an anaesthetised patient does not move and very careful attention has to be paid to any pressure against the skin or positions of the arms, legs and head that may result in damage. The eyes of a patient also need to be protected by being taped closed with or without the use of moisturising drops.